Face fit testing is a method of checking that a tight-fitting facepiece matches the wearer’s facial features and seals adequately to the face. It also identifies unsuitable facepieces. It is a quick and simple way of assessing whether tight fitting respiratory protective equipment (RPE) does or doesn’t create an effective seal around the wearer’s face. If the seal is imperfect, it does not protect the wearer. The best time to undergo face fit testing is at the selection stage, which is when people can be given adequate models of RPE. 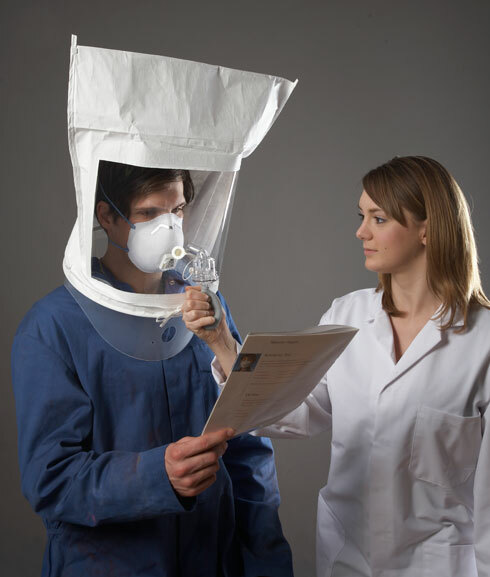 The employer must ensure that the same make, model, type and size of facepiece is available to the wearer that they wore during their successful fit test. If the employee wears more than one type of facepiece to carry out their work, then each type of facepiece must be subjected to a fit test. People’s faces vary significantly in shape and size, so it is unlikely that one size of RPE will fit all. Any lessening in protection due to leakage will put the wearer’s life in danger or may lead to immediate or long-term health problems. It is also important that the wearer is able to fit the RPE correctly every time they use it to prevent inhaling hazardous substances. There are three types of tight-fitting facepieces; filtering facepieces, half masks and full face masks. Many masks rely on a good seal against the face so that when the wearer breathes in, the air passes through the filter where the air is cleaned. If there are gaps around the mask then “unclean” air will be breathed into the wearer’s lungs, negating the purpose of the mask. Beards and stubble have become more and more popular in recent years and here we have a problem. Many masks rely on a food seal against the face so that when the wearer breathes in, the air passes through the filter where the air is cleaned. If there are gaps around the mask then “unclean” air will be breathed into the wearer’s lungs, negating the purpose of the mask. When is a repeat test necessary? It is good practice for an employer to operate a system that ensures repeat fit testing of RPE is carried out on a regular basis. This is especially important when RPE is used frequently as a primary means of exposure control; for example, annual testing of those involved in asbestos removal is highly recommended. A repeat face fit test should be carried out if the wearer loses or gains weight, undergoes any substantial dental work or develops any facial changes (scars, moles) around the area of the face where the seal fits. In the US, annual retesting is mandatory and every other year in Canada. A repeat fit test should also be conducted when the employer’s health and safety policy requires it. Where facepieces are issued on an individual basic, it is recommended that the wearer is fit tested using their facepiece. Where this is not the case, ie, when pooled equipment is used, then a facepiece must be used for the test that is the same make, model, type and size of the wearer’s normal facepiece.